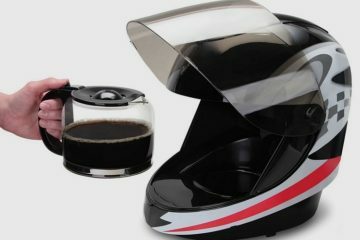 Thinking about getting a Keurig, but don’t quite have the counter space for one? If you’re also thinking of getting a new fridge soon, you might just want to hit two birds with one stone and get the GE Café Refrigerator with Keurig K-Cup Brewing System. A fridge with an integrated Keurig machine in the door, it gives you a functional single-serve coffee maker, without taking up any valuable counter space. 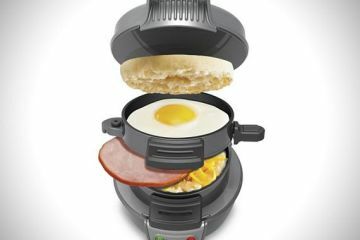 That way, you can save that extra counter space for when they finally make a three-sandwich version of the Double Breakfast Sandwich Maker you’ve been using every morning. 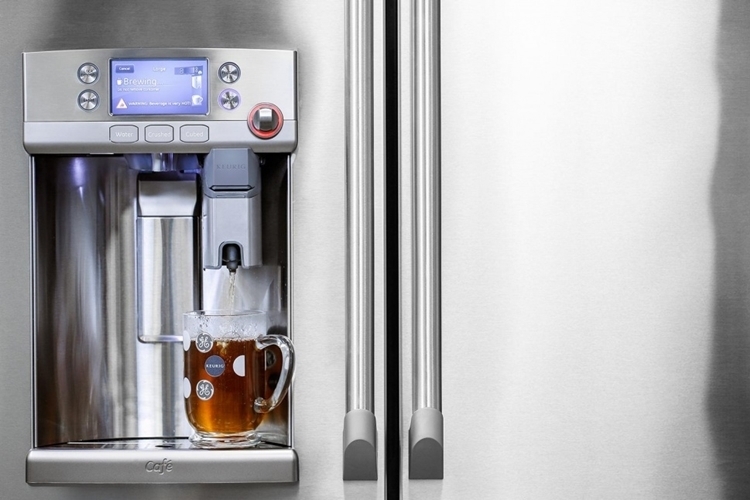 The original GE Café Fridge had a built-in hot water dispenser at the door, along with the more traditional ice maker, which they simply reinforced with Keurig’s coffee pod brewer in the GE Café Refrigerator with Keurig K-Cup Brewing System. 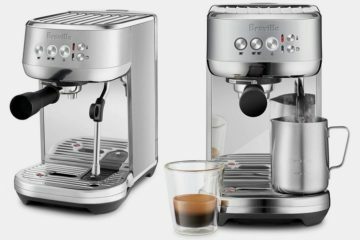 As such, it comes with the same advanced water filtration and no refill capabilities, making it even more convenient than a countertop machine. 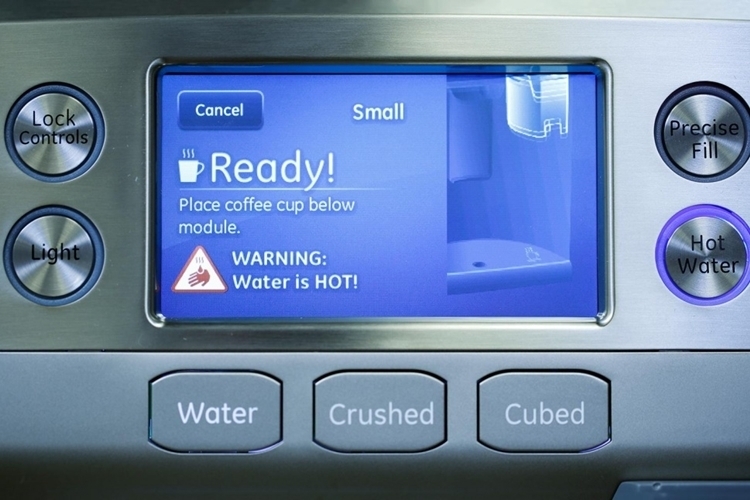 It comes with an onboard LCD panel, where you can choose the size of drink you want (small, medium, large) as you would in a typical Keurig machine. As an added safety precaution, it comes with a dedicated dial that you’ll have to use to start the hot water flowing once your mug is in place under the dispenser. 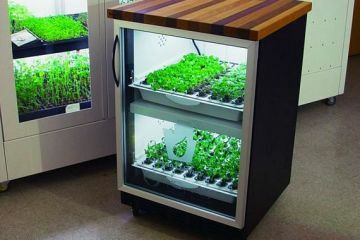 As for the fridge, it comes with side-by-side French doors on top and a full-width drawer on the bottom for the freezer. 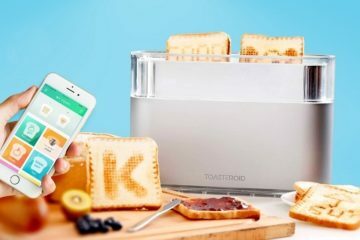 Features include colored LED lights, TwinChill evaporators, and an accompanying app that lets you set the brew time from your phone, so the water is ready as soon as you walk up. 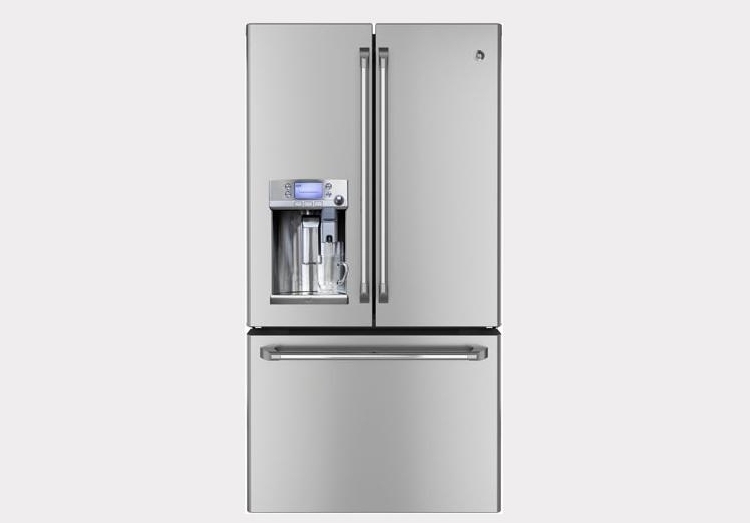 Slated for availability in the fall, the GE Café Refrigerator with Keurig K-Cup Brewing System is priced at $3,300. 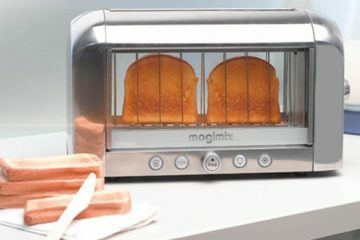 Can’t believe this is a thing, but now that it is, I must have that fridge. Haha! In all seriousness though, that’s really cool. But it does make sense to have something like this in a fridge. I know that may be odd to say, but coffee is one of the most consumed beverages around, and to have a coffee maker built in, just makes things that much better.